The Alpina Snow Mythos unisex ski helmet provides excellent protection on the slopes. Thanks to the In-mold helmet construction the ski helmet is very light and strong. For an optimal fit the size of the ski helmet is easily adjustable in width and height with a dial. For extra ventilation in the helmet there are adjustable vents. Is the inside of the helmet dirty? The lining of the helmet can be removed and is washable. With the detachable ear pads you can acclimatize your helmet when the weather changes. In the back of the helmet there is a special clip for the ski goggles. The helmet even has a neck warmer for cold days. 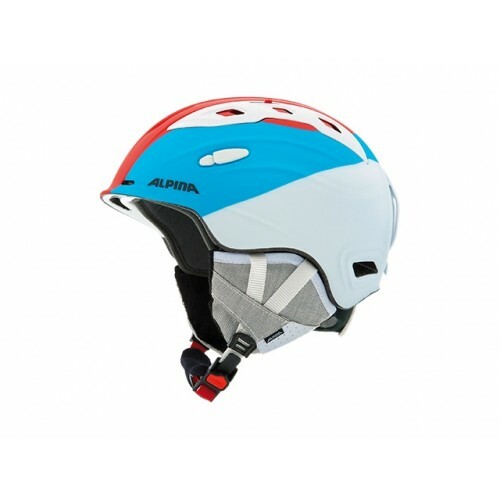 The Alpina Snow Mythos helmet meets the CE EN 1077, the European safety standard for ski and snowboard helmets.